As evaluators we cannot afford to get caught up in narratives – usually devoid of nuance – that aim to create negative mental models of a certain society. This second and also the third post in this series will therefore put the spotlight on some of China’s achievements and challenges, and on facts and arguments that are often ignored in public or scholarly discussions about the country. In the fourth and subsequent posts I will shift to how China achieved what it did, and what we can learn from their effort. This second post concerns China’s efforts to roll back the well-known environmental destruction that accompanied its rapid development. Food for Thought 1. When are undesirable trade-offs justified? China’s development trajectory presents a good example of the difficulties evaluators face when confronted with the obvious tensions between economic development and environmental concerns, and the strategic and values-driven decisions – or lack of decisions – that lead to undesirable trade-offs. For decades, China’s development was based on economic priorities at the cost of the environment. When China set out on its development path in the 1970s, environmental concerns were very low on the world’s agenda; at that time and until quite recently very few countries – Bhutan comes to mind – could claim to have set an example for others. As it became the world’s manufacturing powerhouse, rich countries outsourced their waste and pollution to China. It is likely that even Chinese decision-makers did not foresee the country’s very rapid growth and the dire consequences for the environment. The result was inevitable. It is therefore necessary to see things in perspective. And nuanced data help. China might be a top emitter of CO2 or greenhouse gases, but emissions per capita paint a very different picture. Here, North America, Australia and several countries in the Middle East stand out. On the list of greenhouse gas emissions per capita in 2012, China was far behind, in 52th place. It is likely to have improved its position since then. This is in part why the climate negotiations leading up to the Paris Agreement were so challenging. The Global South, still developing economically, were asked to pay the same price as economically rich countries with many decades (even centuries) of no constraints on pollution. In order to make informed judgments, evaluation specialists need to deal with trade-offs made in policies, plans and programmes. We need nuanced data and thinking as well as clarity about the values that underlie judgments about the merit of a trade-off. Today, we can hardly justify developing an economy at the cost of the environment. We know that, with the planet in peril, our societal and evaluative values have to reflect the need for balanced, sustainable development. Yet this becomes a much more complicated matter when dealing with the trade-offs that economically poor countries face when they have to ensure there is enough food on the table of their people. A recent analysis of China’s progress towards sustainable land development highlights that in the face of environmental problems, “pragmatic and on-ground implementation has been key to China’s progress in sustainability”. The analysis highlights how China ensured mutual complementarity among programmes; combined long-term planning and short-term goals, with programmes focused on multiple objectives through a variety of strategies; and used adaptive management to revise and evolve the technical standards and methods of its programmes. I will address these aspects in later posts. In a 2002 paper, Elisabeth Ferrero and Joe Holland recommended that the Principles of the Earth Charter also become the principles for an Ecological Planetary Civilization – embracing “a new cosmology which recalls that we are part of the Earth, and that what we do to the Earth we do to ourselves”. David Korten writes that “in an Ecological Civilization, nature will have rights. People – as self-aware, choice making beings – will have both rights and responsibilities”. He points out that the transition from a “global suicide economy grounded in a failed neoliberal ideology to a living Earth economy grounded in ecological reality” requires an ambitious cultural and institutional system transformation. Food for Thought 2. 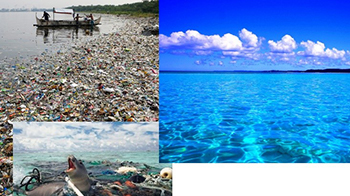 Can an Ecological Civilization be created after such environmental destruction? China is the only country to date that has made the notion of an Ecological Civilization a central theme in its national strategies in an effort to overcome the environmental destruction that accompanied its rapid economic growth. It is a beautiful concept. Can it be successful? The challenges are immense, but so is the effort. At the 17th CPC Congress in 2007 the concept became part of its national strategy with the goal to form “an energy and resource efficient, environmentally friendly structure of industries, pattern of growth, and mode of consumption.” In 2012, constructing an Ecological Civilization was added to the CPC constitution on par with “economic, political, cultural and social progress”. A comprehensive national plan that included both theoretical studies and practical activities was outlined to advance the concept. In 2015, several reforms were announced to accelerate progress. In a 2017 BRI document the CPC Central Committee and the State Council encouraged a green Belt and Road Initiative in order to “share the Ecological Civilization philosophy and achieve sustainable development”. China has indeed been embarking on tighter environmental regulations for companies working internationally. The intent to establish an Ecological Civilization is certainly there. China has embarked on what some call “one of the most comprehensive sustainability action plans in history”. The ‘new normal’ for China is “environmentally-aware production, clean technology, higher wages and consolidated markets”. Major strides have been taken over the past decade despite significant difficulties and potential obstacles to success. Several articles published in 2018 summarise aspects of progress related to embedding relevant measures in policies and regulations (see also here). Since 2013 China has enacted numerous environmental regulations. The amended Environmental Protection Law implemented in January 2015 restructured China’s approach to environmental regulatory enforcement. The 13th Five-Year Plan (2016-2020) promotes a more sustainable economy with strong commitments to environmental management and protection, clean energy, emissions control, ecological protection and security. National priorities have been shifting from production quantity to quality, environmental protection and becoming one of the global leaders in the fight against the climate crisis. There are now thousands of active environmental groups, and mass media are increasingly highlighting environmental problems. The Ministry of Ecology and Environment has identified 9 million sources of pollution – 7.4 million from industrial sources. Between 2014 and June 2018, legal measures to reduce CO2 emissions from coal power plants resulted in a 14 percent reduction. China is one of a few countries to pass laws and develop a strategy to create a circular economy. The country is doubling the previous target for solar power production by 2020 and is the largest producer of solar panels in the world. Much still needs to be done given the scale of the trade-offs China made – intentionally or unintentionally – during its 40 year rise from desperate poverty to becoming an upper middle-income country. Challenges and failures are amplified by the obedient bullhorns of the inevitable detractors who believe that in China (but not elsewhere) everything should be perfect, or change overnight. So I highlight here some of the significant visible progress that tends to be underplayed in public narratives (see also here and here. In 2018 a mammoth project to reforest an area the size of Ireland was undertaken by 60,000 soldiers from the People’s Liberation Army. They were reassigned to plant trees. A few years ago, regular sandstorms originating in Inner Mongolia plagued Beijing. The sandstorms have now largely been contained by planting a ‘Great Green Wall’. China is increasingly praised for its domestic ‘war on pollution’ that is credited with recent dramatic improvements in air quality in some regions. Blue skies in Beijing are becoming common. China’s fight since 2013 to end air pollution has brought about a drastic nationwide decrease in dangerous PM2.5 particulates, although ozone levels have increased, the result of a cause-and effect link between the two. China reached its 2020 carbon intensity target (its commitment to reducing CO2 emissions per unit of GDP and the added value of forest stocks) three years ahead of schedule. Coal consumption peaked in 2016; plans were halted to build 150 coal-fired plants, and installation of desulfurisation and denitration filters on remaining plants is “nearly complete” (in 2018). It has introduced the world’s largest carbon market, now directed at power generation plants, and to be extended to the entire economy by 2020. A recent report from the Global Commission on the Geopolitics of Energy Transformation pointed to China as the country in the best position to “become the world’s renewable energy superpower.” It is leveraging clean energy as part of a long-term strategy. It plans to invest over the next 20 years more than $6 trillion in low-carbon power generation and other clean-energy technologies. It is the world leader in the production, export and installation of solar panels, wind turbines, batteries, and electric vehicles. According to the IEA, China has one-third of the world’s wind power, four of the top ten wind-turbine makers, six of the top ten solar-panel manufacturers, and a quarter of the world’s solar capacity. It already produced more all-electric cars, buses and trucks than the rest of the world combined. Demand for electric vehicles is soaring. In Shenzhen, the entire fleet of 16,000 buses is electric. Nearly 1.3 million new energy vehicles (plug-in electric vehicles and plug-in hybrids) were sold in China in 2018 (a 62 percent rise on 2017) compared to only 4 million electric vehicles in use across the whole world. As of 2016, Chinese companies and organisations had 150,000 renewable energy patents, equal to 29 percent of the global total. In 2017, they filed a total of 76 percent of all renewable energy patents. Jeremy Lent, author of the brilliant book, “The Patterning Instinct: A cultural history of humanity’s search for meaning”, points out that traditional Chinese culture was founded on a worldview that “perceived an intrinsic web of connection between humanity and nature”, and that early Chinese philosophers believed the purpose of life was to seek harmony, including with nature. « What can we learn from China? Part 1 – Why China?